A nice sweet little everyday card! 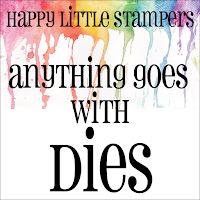 I am also entering this in the Happy Little Stampers: Anything Goes with Dies challenge! It was SO NICE yesterday, we actually ate breakfast on the patio!! Ooh I love this LeAnne! So CAS and I love the graphic paper and single pop of color! Fantastic card LeAnne, love the colors!! Th pops of hot pink is pretty! I was beautiful here yesterday too! Beautiful card! Love those striking colors. Such a pretty card today LeAnne. I love the pop of Melon Mambo against the black and white. That really is a sweet flower die. I should be on the lookout for that one. Beautiful - I love that pop of color. I'm always looking for ideas to use black and white. Oh, this is so pretty! I love the design! What a lovely card! So crisp and so striking. LOVE how you used the billow flower.. I can't tell you how many cards I made with that already.That pink just pops with the black, an awesome design! Right now it's SNOWING out! Just the kind that melts right away, but STILL. Brrrr...no eating outside for us! Love that pop of pink! And I hear you on how sometimes it seems to take forever to make the simplest cards! Beautiful. Watermelon mambo and black and white are a perfect combo. 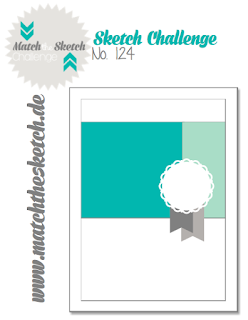 Thanks for playing with us at Match the Sketch! That bright die is fantastic against the background colors, thanks for joining us at HLS.